This article was originally published on October 11th 2018. In light of Brawl Stars' global release on December 12th, we've republished this piece on the game's potential in Eastern markets based on soft launch performance using publicly available data and estimates. Brawl Stars is a tricky one for Supercell. The Finnish developer is a remarkably profitable company, with small teams working on the world’s biggest mobile games. Supercell is famous for killing games it doesn’t think will be the leaders in their categories. It’s a billion dollars or bust. It’s a philosophy reflected in Supercell’s last financials, which were actually down 14 per cent year-on-year to a mere $2.25 billion. The company is still making a serious amount of money that most other developers can only dream of, but the slowing down of growth is indicative of the studio's patience. A short-term slow-down can quickly be remedied by the next big hit. With Brawl Stars, at first it looked at first like Supercell may have found the next billion-dollar game. The title was revealed publicly via an announcement featuring an esports-style format - highlighting Supercell’s focus on competitive gaming. The team shooter was soft-launched on the Canada App Store in June 2017 where early on it was a top 10 grosser. But as the months went on, the game began to struggle compared to what would be expected from a Supercell title. Blame for this was centred on a number of aspects, with one of the key criticisms centred on its monetisation. 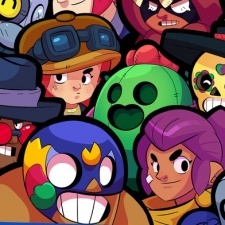 It was starting to look like Brawl Stars was destined for the can. The game was rolled out to Android and more soft-launch countries in mid-2018. Countries it’s now available in include Canada, Finland, Sweden, Norway, Denmark, Ireland, Hong Kong, Macau, Malaysia and Singapore. The extended soft launch came at a time following a series of overhauls to Brawl Stars’ content, presentation and monetisation mechanics. Mobile data firm Sensor Tower estimated that the extended soft launch, aided by the key alterations to the title, spurred on its revenues by 616 per cent in July 2018. This brought sales up to $1.3 million for the month. An improvement, but still nowhere near a Supercell-level game. But there are signs that Supercell may actually have a hit in the making. As Sensor Tower noted, 47 per cent of July revenue came from Hong Kong. Speaking at IronSource’s Gamefest event this week, Deconstructor of Fun founder and Rovio head of studio Michail Katkoff made a bold prediction: that Brawl Stars will get a full global release, but it won’t emerge in the West as many would have thought. Its success will come from the East. He backed up the statement by showing the title’s early performance in Singapore as a top grosser. We took a look at App Annie data going back to July 13th 2018, analysing the Google Play games grossing rankings across all soft launch territories. On July 13th, the top five ranking countries for Brawl Stars were Singapore (eighth), Finland (16th), Macau (16th), Hong Kong (22nd) and Malaysia (27th). The next closest countries were Canada (57th), Norway (88th and Sweden (88th). Over time, the game has declined across most markets. As of October 9th 2018, Finland reported the highest grossing ranking at 17th. But this is a Western outlier on Google Play, as it was followed by Singapore (36th), Macau (89th), Hong Kong (132nd), Malaysia (145th) and then Canada (185th). In this rather complicated chart below, we’ve highlighted the top 200 rankings. It shows that by October 2018, all Asia countries are still in the top 200, with just Finland (top) and Canada (bottom) representing Western countries. All the others have fallen away - except for a temporary surge in Denmark. Looking at the App Store, where Brawl Stars has been out longest, all four Asia countries are in the top six when it comes to all-time top grossing rankings. The two Western countries are Canada, which benefited from the initial launch buzz, and Finland, where Supercell is based. App Annie’s daily App Store rankings currently show that, out of three of the five countries where Brawl Stars is ranked inside the top 100 grossers, three of them are in Asia, and placing highest is Singapore. It’s hard to say that these are still the levels Supercell would expect from Brawl Stars’ soft launch grossing potential. But as Katkoff noted in his Gamefest talk, the title fits into a ‘brawler’ sub-category of the MOBA, which performs best in the Asia-Pacific region. Leaders in the MOBA space include Tencent’s runaway hit Honor of Kings in China in particular and Moonton’s Mobile Legends in Southeast Asia. US-based Super Evil Megacorp's Vainglory is also ranking higher in the grossing charts in many Eastern countries, with Cambodia and Nepal ranking at the top right now, according to App Annie. Other top territories include Africa and the Americas. Of course, this doesn’t necessarily mean more money is being generated in these countries. Should Supercell go down the Asia route, it may need to take a leaf out of its parent company Tencent’s book and localise for each country ala Honor of Kings (Arena of Valor, Penta Storm, etcetera.). It could also lean on Tencent's influence in the region at full launch, which could spur Brawls Stars to make a big impact in China - a market opportunity unlike any other. Or Supercell could just decide the soft launch hasn't been successful enough on any fronts and make Brawl Stars its highest-profile kill to date. Supercell was recently ranked seventh in PocketGamer.biz's Top 50 Developer list for 2018.